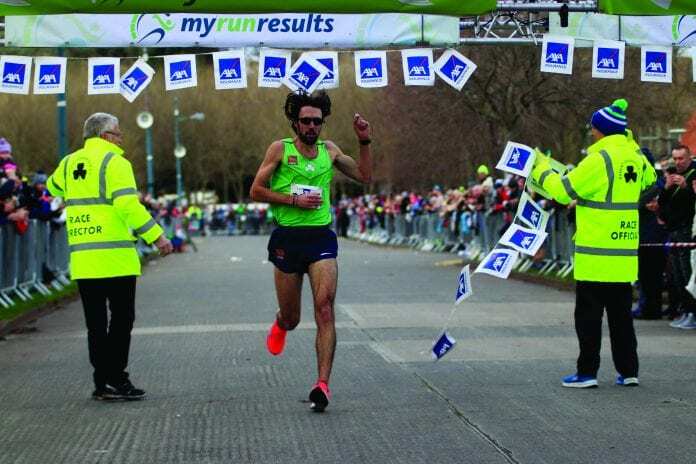 MICK Clohisey proved a popular home winner of the AXA Raheny 5 mile as he landed the 2019 edition with a dramatic turn of pace over the final 500 metres. Clohisey led home 5,000 competitors as they race continues its status as the greatest road race in the country, the Raheny Shamrock man claiming his second AXA Raheny 5 crown. Clohisey was pushed all the way by DSD’s Matthew Bergin and Carrick’s Yared Derese before making a burst for home with 500 metres remaining. Clohisey winning out in 23:26, nine seconds clear of Bergin. There was comfort for Bergin, though, as his Dundrum South Dublin team ended up winning the men’s team title as part of a double with their female counterparts. In addition to Bergin’s second place, five DSD men were in the top after the first mile. Hiko Tonosa faded to sixth place as his recent ‘flu took its toll. Robert Corbally played a captain’s part finishing in 10th place with Mark Molloy (18th) completing the D.S.D. winning team. Raheny finished second with Clonliffe third. 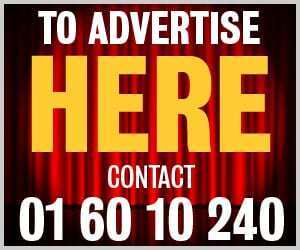 Letterkenny’s Ann Marie McGlynn retained the women’s title, winning out in 25:59 with Emma Mitchell taking silver in 26:38. Breege Connolly took third place in 26:55. For DSD, Linda Byrne was first home in fifth place with Meghan Ryan seventh and Amy Moran 13th. Five juvenile races took place before the main races with over 500 competitors taking part in distances from 400 metres to a mile. There were plenty of local winners. In the 1 mile for boys, Raheny Shamrock’s James Hyland and Adam Condon finished first and second with Donore Harriers’ Sean Kinsella third. Donore’s Honor Lynch was first home in the girls mile. Clonliffe Harriers’ Sorcha O’Connor took victory in the 800m for girls while Brothers Pearse’ Aoibheann Nic Mathuna was the victor in the 400m.